Click here if the video doesn’t load. Be forewarned! If your guns are taken from you once, they will take all your other freedoms away. Never assume that the government can keep you safe. In Australia they were promised safety if they gave up their guns. It was the opposite. Same is true in Great Britain, and every other place that the guns have been taken from the citizen. grief – from the NY Times on the day before Christmas – we have the editorial “one nation under God ?” – with the question mark, along with ranting about concealed carry (guess what keeps the criminals scared.) We might be crazy but at least we are not obnoxious. Well. enough of their nonsense – there is only so much garbage I can read. If Jesus was a palestinian, I wonder if he strapped on a bomb and blew himself up. Well, that is not in the Bible. So how does Alternet arrive at the conclusion that the Bible makes americans violent ? I wonder if the gang bangers in Los Angeles are reading the Bible … probably not. I wonder if Adam Lanza was reading the Bible … probably not. I suspect they are reading Saul Alinsky instead. oh heck. I should have gone to alternet before. Speaking more about Scapegoating – how about these headlines. a) Jesus was a Palestinian. b) Does the Bible make Americans violent ? Then there is a rant about how the real fighters against tyranny are reporters and human rights types from europe, and 2 commie reporters who brought down Nixon. Oh – another scapegoat for the Left. It ends with “your stupid game prevents us from ending a threat to public safety.” ummm that would be confiscation. Like I said – just like Hitler. 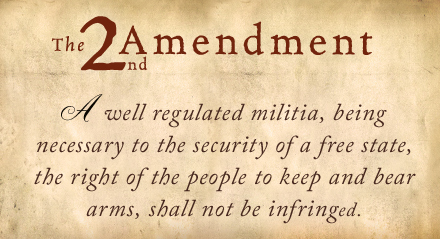 I know why they don’t like the second amendment. It dawns on them that we already figured them out, and thwarted their little totalitarian tendencies, and did it 200 years ago. We outfoxed them and they just can not stand it. It drives them to extreems – as if they were not there already. Just like Hitler, they state their aims in what they write. speaking of crazy, remember what we heard regarding Scapegoating ? What is on TV these days is a textbook example of scapegoating the NRA – by the media, Code Pink, Obama, Nadler, Bloomberg, Feinstein, and all the rest. It is amazing to behold. Or maybe it is a real live example of a Witch Hunt. They certainly put a lot of gusto into it. What Saul Alinsky advocates is out and out scapegoating. Oh, but we don’t even want to ‘stigmatize’ the mentally ill, never mind scapegoating them. As the Beatles discovered, America is a strange place. Millions loved the Beatles until someone made a remark about being bigger than Jesus, and the love affair came to a screeching halt. But being avant garde artistes they probably figured it’s just a bunch of gun toting troglodytes. It ain’t so simple. Oh well, chalk it up to ‘diversity’. Of course, Yugoslavia had ‘diversity’ and look at what happened to them. Has anyone in Australia suggested reversing the law or do they just accept these statistics? One of the (many) problems with Australia is the lack of a functional equivalent of the “Tea Party” or the G.O.P. (bfore it was infested with RINOs). The right-wing parties are essentially monarchist, believing everything should be subserviant to “The Crown” and the left-wing parties believe everything should be subservient to “The State”. The statistics you have listed are completely wrong, and are in fact the opposite of what happened following the tightening of gun laws in Australia. Australia is an example of effective gun control, and the lack of gun ownership contributing to a safer society. So here in the US we should just do what you fools did, and then suffer the massive increase in armed robberies, murders and crime, and if we wait for 4 or 5 decades then the crime rate will go down. Sounds exactly like a communist plan, a few hundred thousand deaths will make things right in the end. Oh, BTW, i’m a Kiwi here in the US, and still recognise that in NZ they kill each other with knives and machetes just as fast.